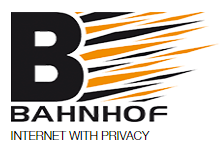 Swedish Internet service provider Bahnhof is continuing its crusade against copyright holders that target alleged file-sharers. The company has published an article which shows that these copyright cases have little to do with the Government's intention of protecting individual copyright holders with limited financial means. In recent years file-sharers around the world have been threatened with lawsuits, if they don’t pay a significant settlement fee. These so-called “copyright trolling” efforts have been a common occurrence in countries such as Germany and the United States, and in recent years they have conquered Sweden as well. Where Internet providers remain on the sidelines in most countries, Swedish ISP Bahnhof has shown to be a fierce opponent of the copyright enforcement efforts. The company uses all possible means to protect its subscribers, both in an outside of court. In an article published a few days ago, Bahnhof Communicator Carolina Lindahl takes a closer look at the legal basis underlying the threatening letters. Lindahl notes that the Swedish Government sees a need for strict copyright infringement penalties while keeping the barriers for creators to go to court low because they often have limited resources. “In copyright litigation […], it is often the author himself who is a party, and usually the author has limited financial resources,” the Government’s code for Penalties for Certain Serious IP violations reads. However, according to Bahnhof, this is far removed from reality. Lindahl sifted through the legal paperwork related to copyright infringement cases filed at the Criminal Court, to see which companies are behind them. The research uncovered 76 cases, the majority of which formed the basis for the tens of thousands of piracy settlement letters that were sent out. Only five of these cases were filed by the creator of the work, Lindahl notes. In other instances, the creators were represented by intermediaries or licensees, such as Copyright Management Services and Crystalis Entertainment. While these companies may have the legal right to pursue these cases, they are not the original creators of the films they sue over. “The government’s claim – that it is often the author himself who is a party – does not seem to be correct at all,” Lindahl writes. In addition, the ISP rejects the notion that copyright holders have “limited financial resources.” Using public sources, Lindahl shows that several of the companies involved have millions of dollars in revenues. So, instead of protecting individual creators with limited means, the ISP says that the Government’s policy allows major companies to “extort” money from individuals, including those with limited financial resources. “Our legislation rests on assumptions that are badly rooted in reality,” Lindahl writes, noting that government policy only makes rich film companies richer. “The result is an extortion operation that is profitable for already profitable media companies and costly for young people, retirees, and other individuals on the margin, without the capability to tackle sudden costs of thousands of kronor. “The lone and economically limited authors are in fact groups of authors with great wealth. Without pure greed, they probably don’t need to send out extortion letters,” the article adds. Lindahl tells TF that she does see a few options to deal with the issue at hand. Sweden could follow the example of its neighbor Denmark, for example, where copyright trolling is ‘outlawed.’ Alternatively, courts could call the IP-monitoring evidence into question, which isn’t always as solid as it seems. That said, she’s not very hopeful that anything will change soon. “I don’t trust our government or authorities to do anything about this. I’m sure they enjoy things just as they are,” Lindahl notes.